Korean skincare products are finally in Kenya! About the secret key essence. Dual function ESSENCE of Whitening & Wrinkle diminishing including Galactomyces ferment filtrate. 7 intensive cares of moisturizing, tightening, brightening, improving wrinkle, soothing, rearranging skin texture and anti-oxidation. Galactomyces: contains protein over 50% and also has vitamin B1, B2, Niacin and Folic acid. Has an outstanding moisturizing effect for the skin. The brand new Pixi Retinol Toner is in Kenya! Do you suffer from acne, dull and uneven skin, pigmentation or just want to defy ageing? A derivative of vitamin A, retinol promotes skin renewal, brightens skin tone, reduces acne and boosts collagen production – making Pixi’s Retinol Tonic the perfect powerhouse treatment. Staring jasmine flower (to help soothe, repair and protect) and peptides (to help boost collagen production) this zero-to-low irritation tonic will soften fine lines and revitalise skin without any of the irritation commonly caused by retinol use. 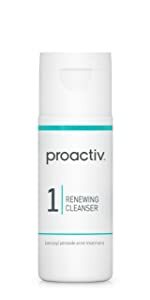 About the Proactiv Acne Treatment. Witch Hazel 100% Natural Astringent. Cleans & Refreshes. Naturally! Our 100% natural astringent gently cleanses and conditions skin without removing essential moisture. Witch Hazel is dermatologist recommended. Contains no artificial fragrances or dyes. Cleans deep down to your pores. 100% natural. Uses: Temporarily relieves minor skin irritations due to: Minor cuts, minor scrapes, insect bites.